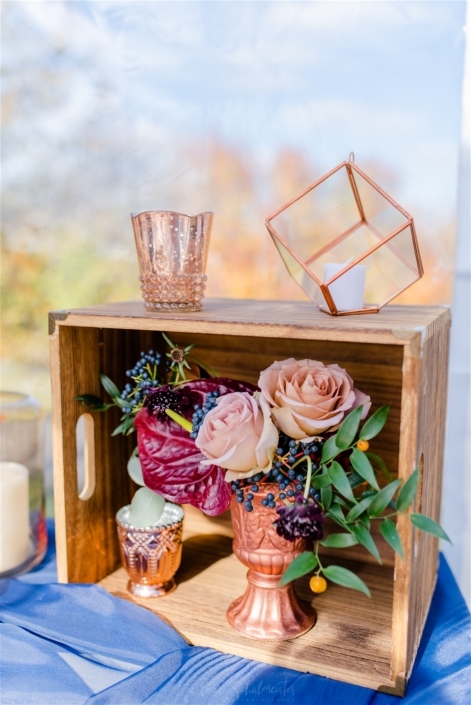 We had so much fun collaborating with some amazing vendors for this Pine and Pond Photoshoot! 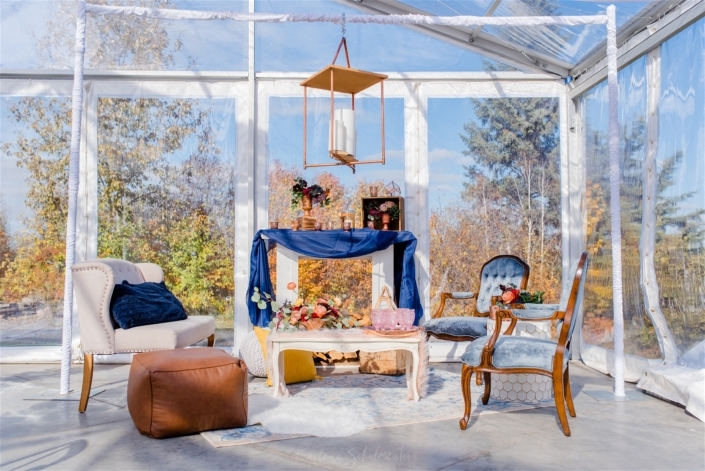 First of all, Pine and Pond is such an incredible wedding venue. 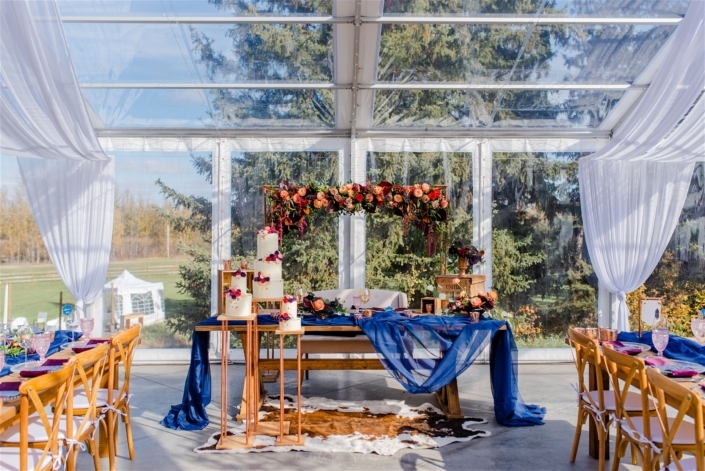 Boasting a large clear ceiling and walled tent, log cabin, and many more exciting venue features, this gorgeously landscaped property is a beautiful place for your wedding! Definitely check it out! Now onto the details! 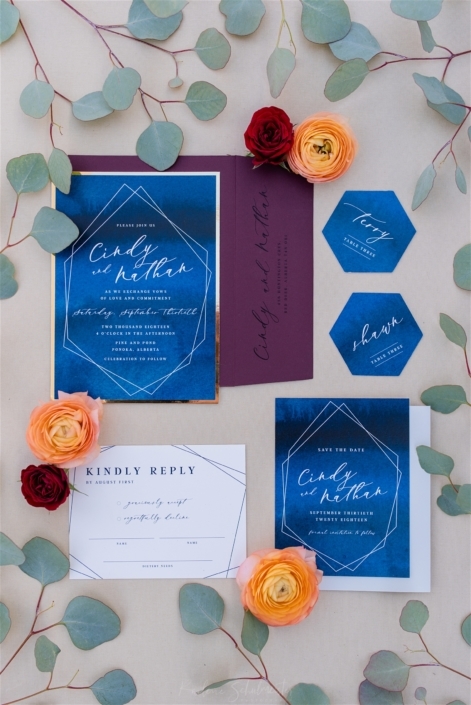 The geometric wedding trend is so big right now! 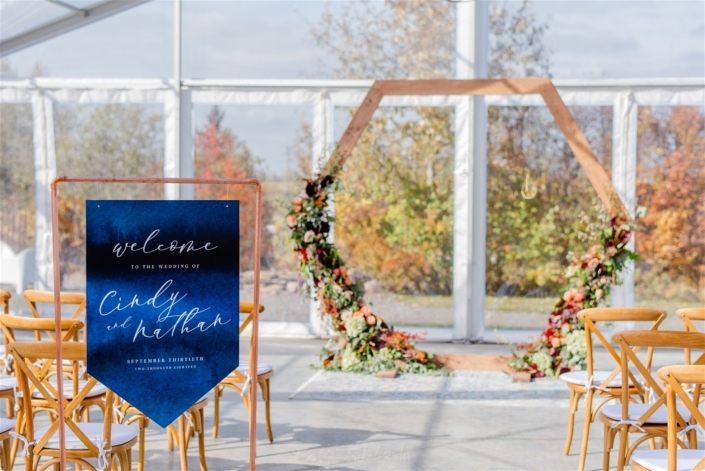 Bringing bold shapes to your ceremony and reception is a fun way to create big impact. 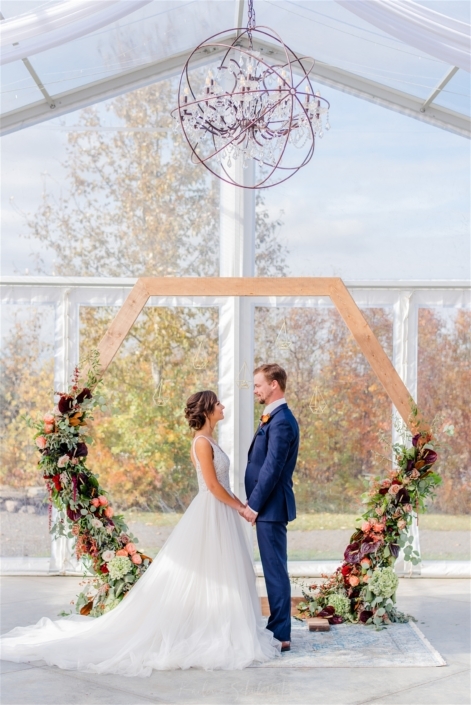 This archway does just that. 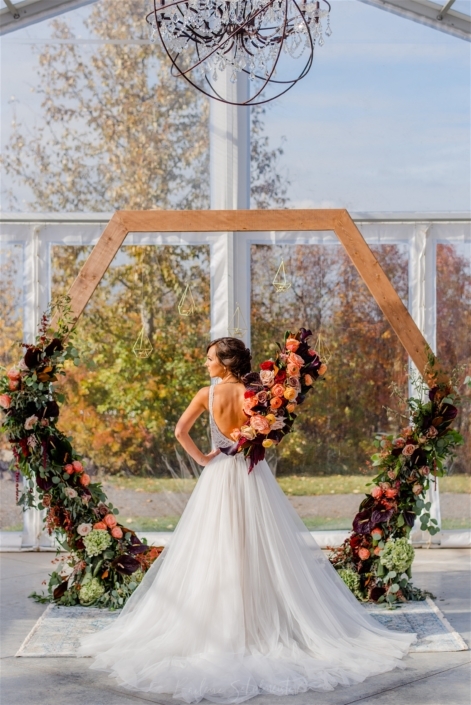 Crawling with gorgeous florals and greenery, this wood hexagon arch is simply stunning. 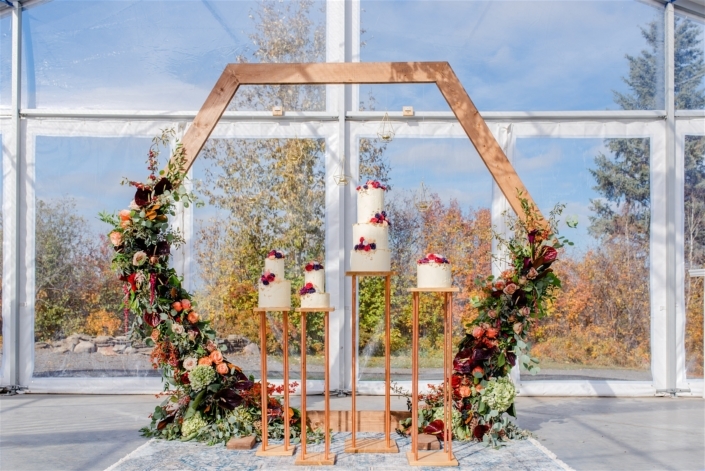 Use it as an archway for your ceremony or a backdrop for just about anything, including your cakes! The possibilities are endless! 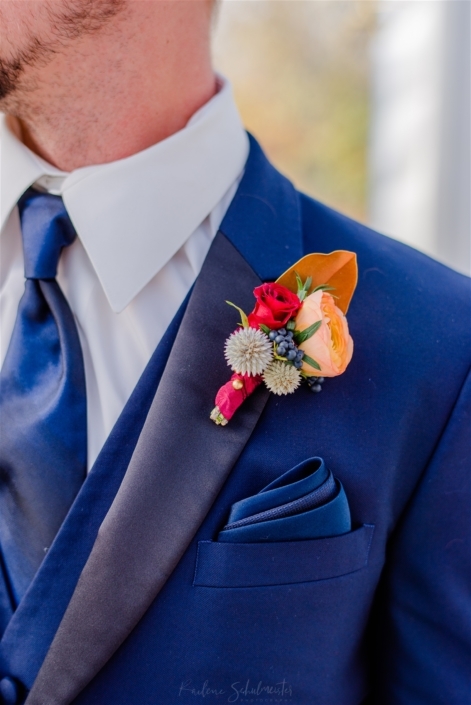 Speaking of bold shapes and big impact… have you seen this bouquet? 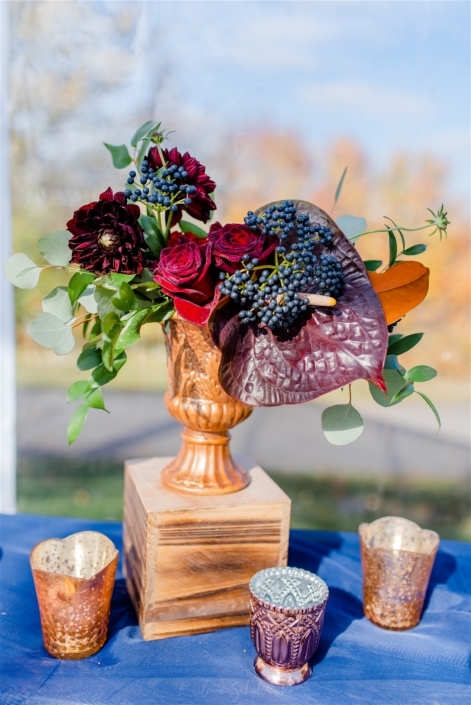 Designed in a crescent shape, this incredible bouquet is dramatic and certainly makes a statement. Can you say gorgeous?! 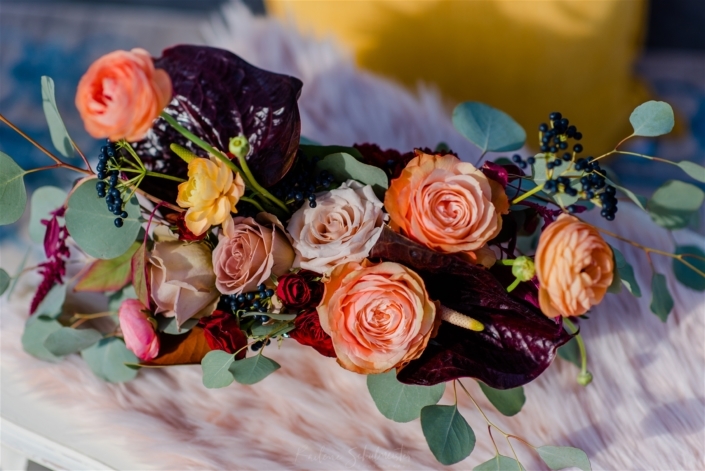 Composed of amaranthus, anthurium, dahlias, ranunculus, roses, and magnolia leaves, this bouquet is seriously impressive. 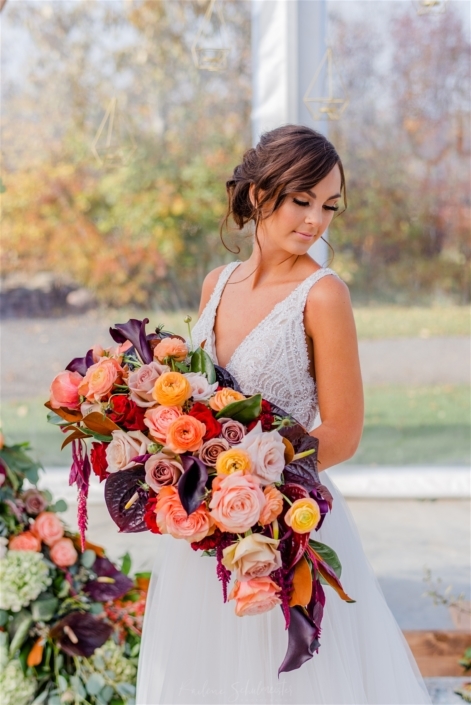 We are all about the big bouquets! 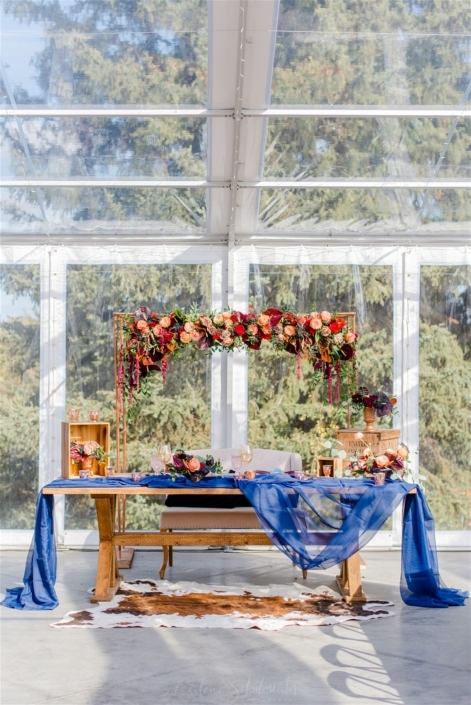 Furthermore, check out this styled reception hall. 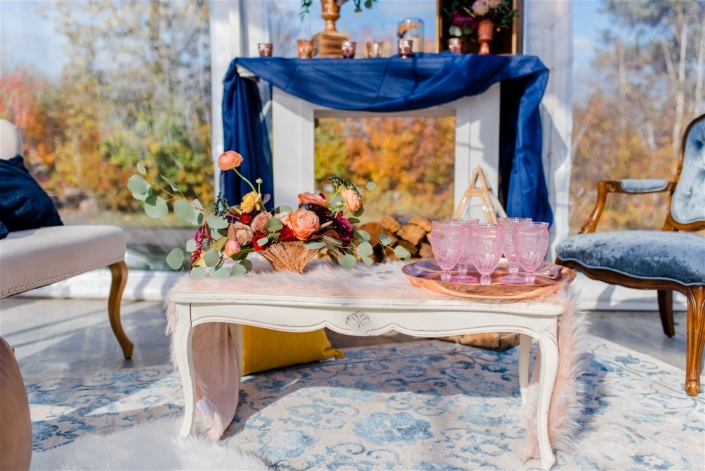 We love that sweetheart tables are in right now. 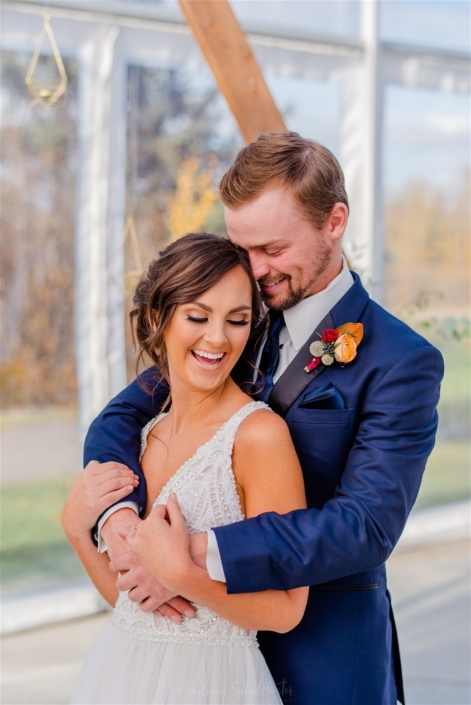 It makes the bride and groom the focus, as they should be! 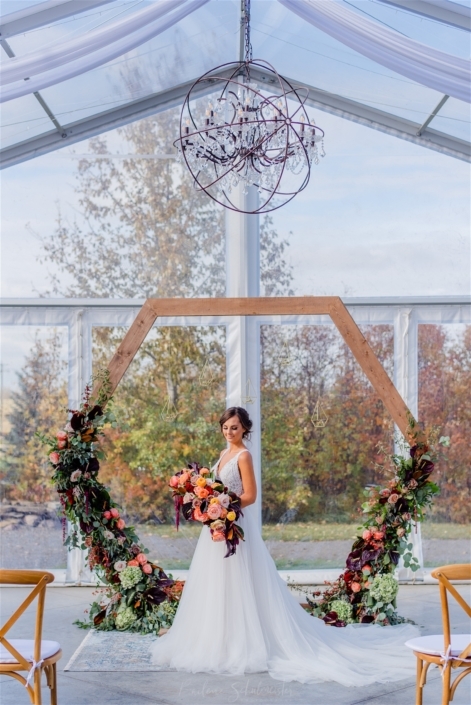 This beautiful tall arrangement creates the perfect backdrop while keeping the bride and groom at the center. 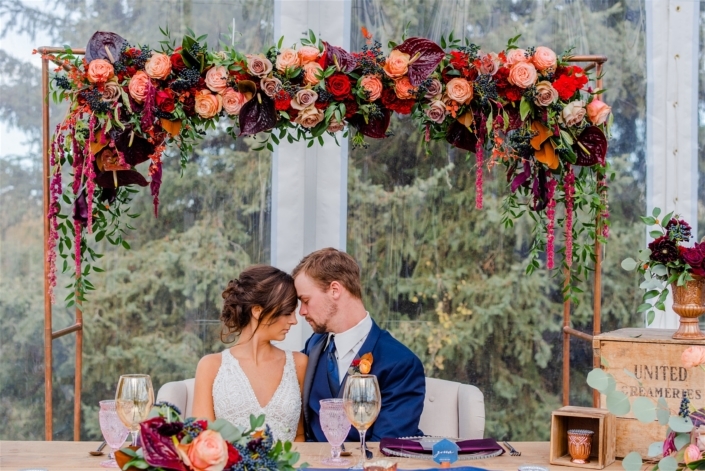 Covered in greenery but dripping with florals, now that is a backdrop! 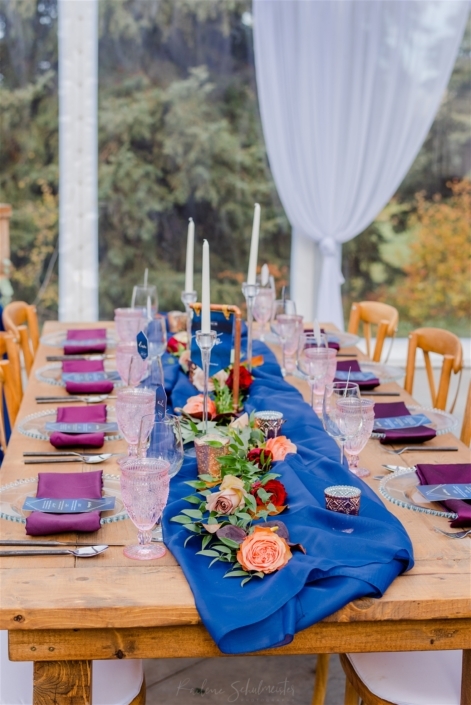 To create a sense of cohesion, matching small arrangements sit at the front of the table and are scattered throughout the room. 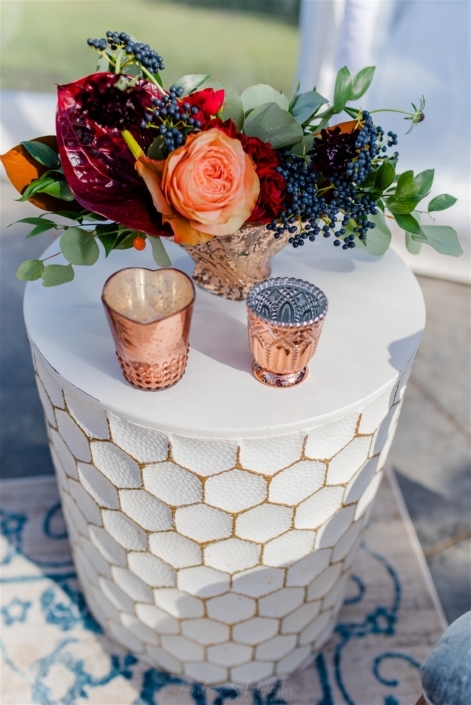 Adding complimentary arrangements throughout the space ties everything together perfectly. 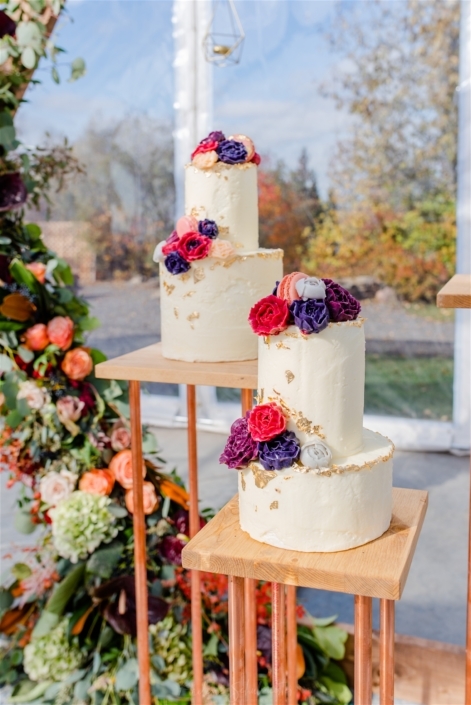 And in our opinion, the more flowers the better! 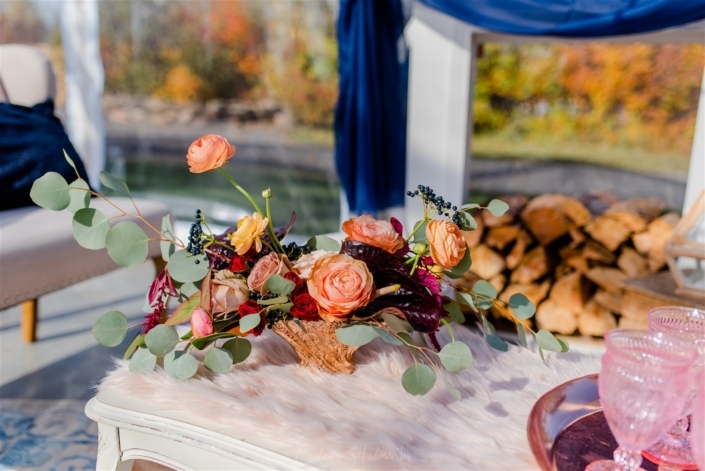 This stunning styled shoot made for some creative floral fun and we enjoyed working with this incredible team! 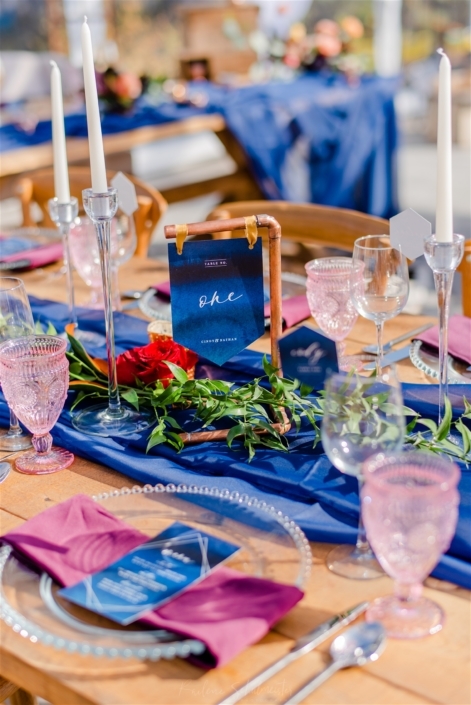 Please enjoy the photos by Raelene Schulmeister. For a full list of vendors see below.